We spent a lovely Saturday afternoon out in the yard this weekend. It was beautiful and sunny and Travis decided to give the lawn its first mowing of the year, while Liam and I started weeding the flower beds and getting the soil turned and loosened. Sadly, spending the day doing spring things didn’t put me in the mood for spring cleaning, but I have decided I cannot just let the season pass without tackling some of those seasonal jobs. It all started when I was flipping through my HMB the other day and came across this…. For those of you who don’t know, this is my Indoor Home Maintenance check list. 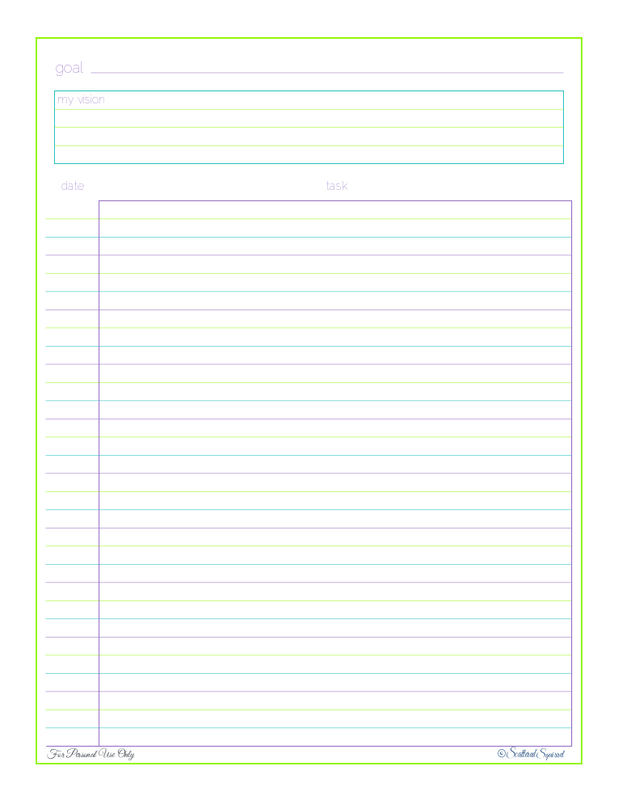 This little baby is supposed to help me stay on top of those seasonal or yearly jobs. Can you guess what’s missing from this picture? (I’ll give you a hint: it involves a dry erase marker or lack there of!) Yeah, you guessed it, I haven’t used it yet this year. Horrible isn’t it? 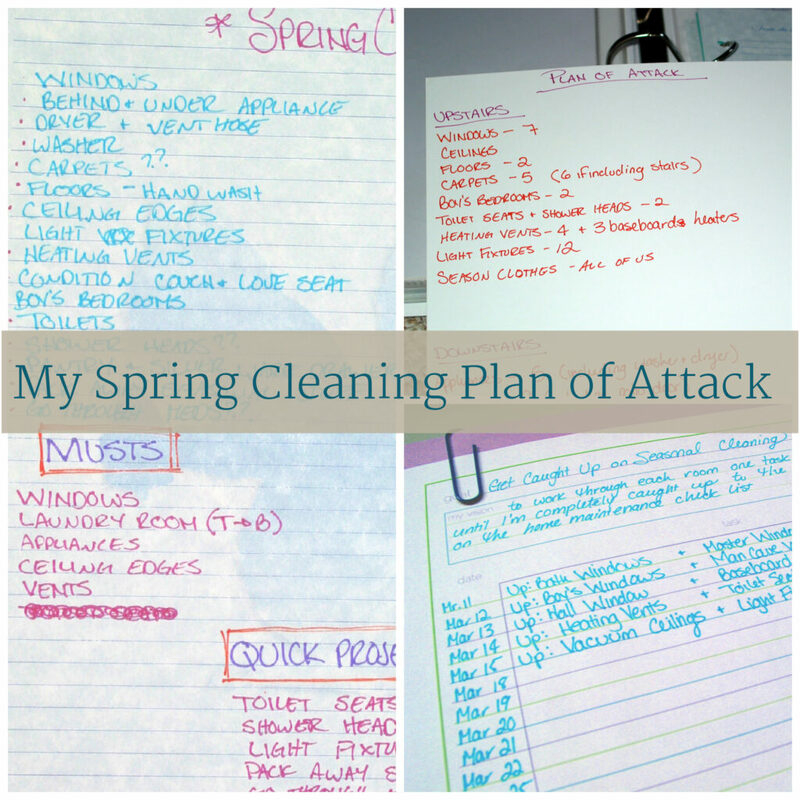 This was the deciding factor for putting together a spring cleaning plan of attack. Honestly though, I’m not feeling that urge this year. I actually don’t want to spring clean. I want to boycott the whole concept and stick my head in the sand until summer comes and I can safely move forward. Anybody feel the same way? Unfortunately though, there are things that need to be done around here, and spring is a good time to get them done. Despite spending all that time reading about spring cleaning and making up the printables to share with all of you, I had no idea where to start in my own home. There are just so many things on my to do list, I couldn’t see past them to find the starting point. So, I ditched my to do list. Okay, I didn’t completely throw it away, I hid it in a drawer, out of sight of mind right? (Umm, just don’t let me forget that I put it in the drawer, or I might never think of it again. lol) And then, I made a new list! I find that if I don’t know where to start, making a list usually helps. It is not pretty, but I started by listing everything I thought needed to be done, using the indoor home maintenance list as my guide, as well as tapping into all the mental notes I’ve been making for myself. (On a total side note: can you see the squirrel watermark on the paper? My Mom and Dad made me this beautiful stationery for Christmas, a whole 400 sheet box of it! I am in total love! Thanks Mom and Dad!) Ok, back to the list. After I got everything written down, I divided it up into smaller lists. Musts, Wants and Quick Projects. Wants isn’t really the right name for that one, basically I took the big jobs and divided them up into priorities, Musts being the highest, Wants being either the lowest, or I can’t do yet, like cleaning the carpets. I focused solely on cleaning. 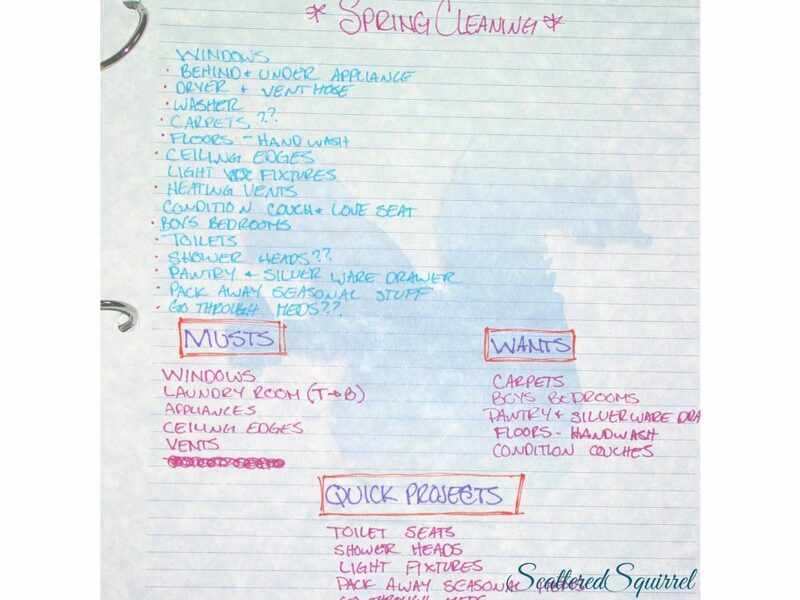 For me, this isn’t about organizing or purging, this is purely about tackling seasonal cleaning. 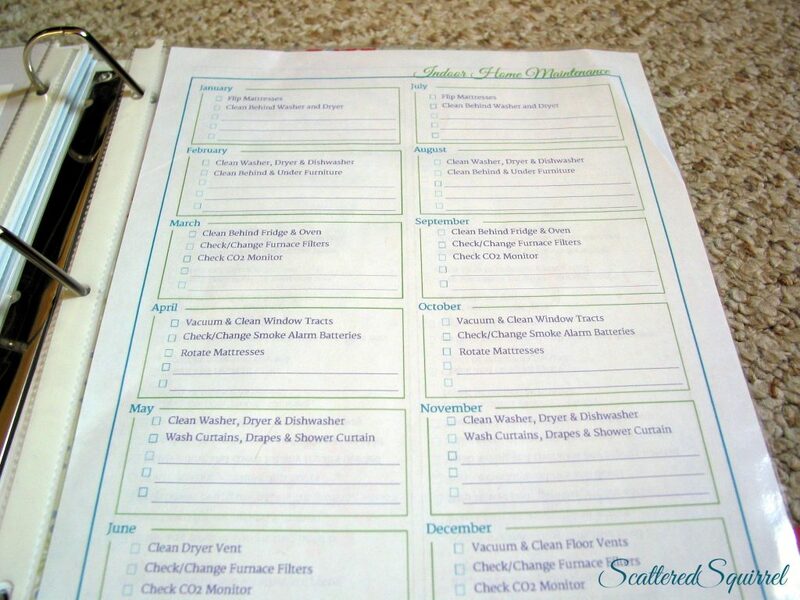 I took a look at my Indoor Home Maintenance check list, and made note of all the cleaning tasks I’ve skipped. I added anything extra I could think of that needed to be cleaned. Like light fixtures. I limited myself to adding only a couple of extra jobs that aren’t really cleaning, but aren’t organizing either. Like packing away seasonal clothes. I know what I clean and how often, so some things didn’t make sense to include. Spring cleaning every room from top to bottom just isn’t needed in this house at this time. Perhaps in the fall I’ll tackle some of the items I didn’t include in this list. Now, I could have just left it there, but I didn’t. I like to make things really complicated. In the end though, this next step really helped. I made a second list. I divided this page into two sections: Upstairs and Downstairs. Then I wrote down things that need to be done in those areas. The numbers you see are the number of things or areas that fall under each task. This gives me a good idea of how much time I’m going to be spending on each floor. It’s probably weird, but knowing what I’m doing and where, and putting it on paper, gets it out of my head and allows me to focus a little more clearly. Because I’m also trying to adapt my routines to Travis’s new work schedule, and get into a new groove, I decided it would be for the best if I broke it down to one or two items a day. To help me keep track of those items, and stay on track I whipped up a little printable. I’m not sure what to call it, for now I’m calling it One Task a Day. There’s a spot up top for the goal, and a space to record your vision, or ideas, or just to expand on what your goal is. 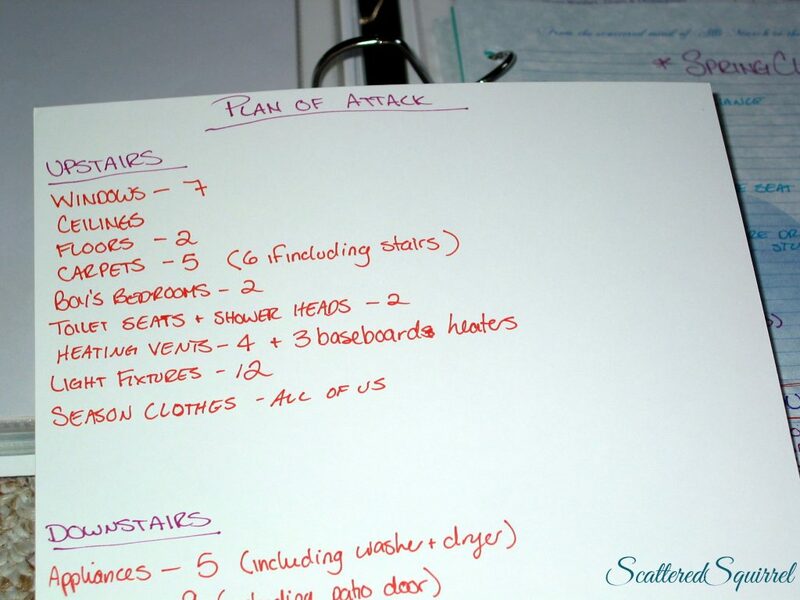 And then there is the planner part, where you can break your goal down into steps. And yep, this one is available for you as well, just click the picture to grab a copy for yourself. Here’s a look at how I’m using it. I dated each line. There are no weekends on here, because Travis is now off on weekends, just like the boys, so weekends are dedicated to family time. Period! If we’re not doing anything or going anywhere, maybe I’ll tackle a project or two, but I’m not planning on it. Each day gets an assigned task plus a bonus for if I have time. 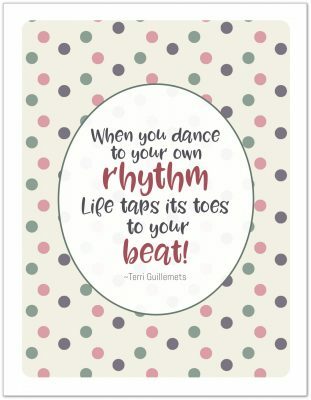 At the end of week, whatever doesn’t get done moves to next week. Breaking it down into manageable chunks makes it feel less overwhelming, and also allows me to continue working on my new cleaning routine. Now that I’ve got a plan, I’m feeling a little more ready to do this. And by the time I’m done I’ll be back on track with my indoor home maintenance. What about you? 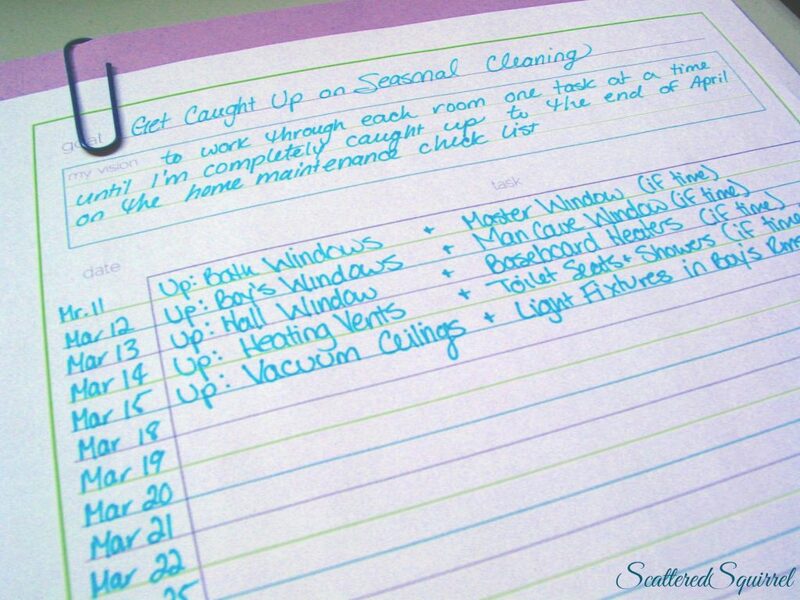 Are you spring cleaning this year? Are you boycotting the whole thing?